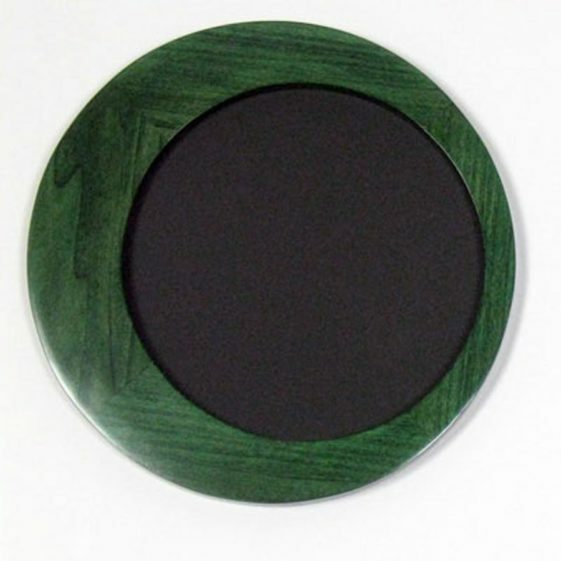 Round Picture Frames, made of Poplar and stained Green, like the one shown, let you enjoy bold color and wood grain in one dynamic frame. Why settle for a plain, painted frame? 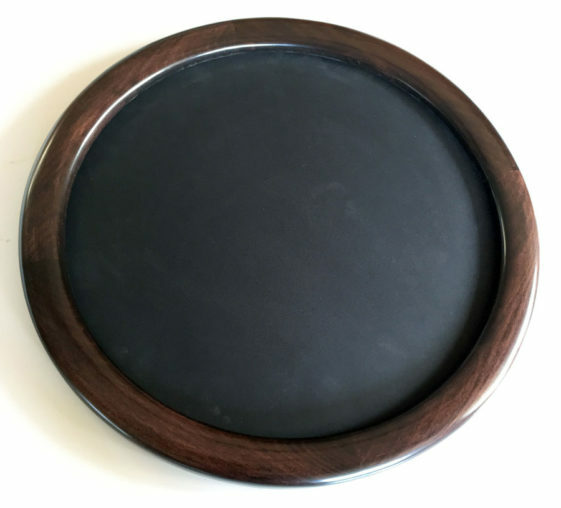 Our orbit design is very unusual and has been a popular choice for many artists. Because these are stained and not painted, the frames are solid color with wood grain peeking through. Surprised at what you see here? You may find yourself smiling at the discovery. 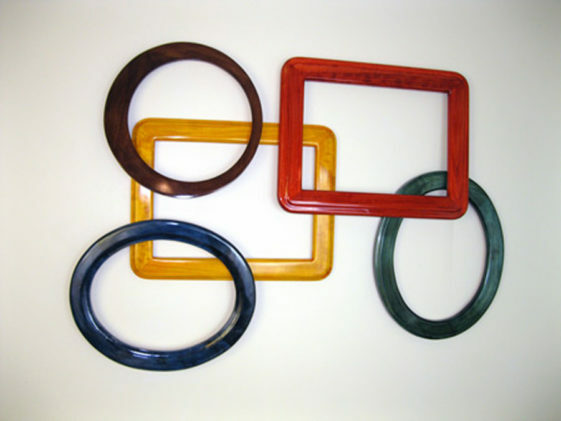 Our most commonly ordered vibrant colors of stained hardwood picture frames. 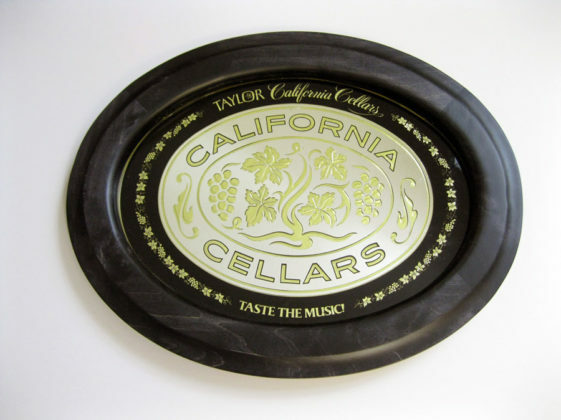 We offer them in round, oval, rounded corner, and free form styles. Shown with a satin finish. 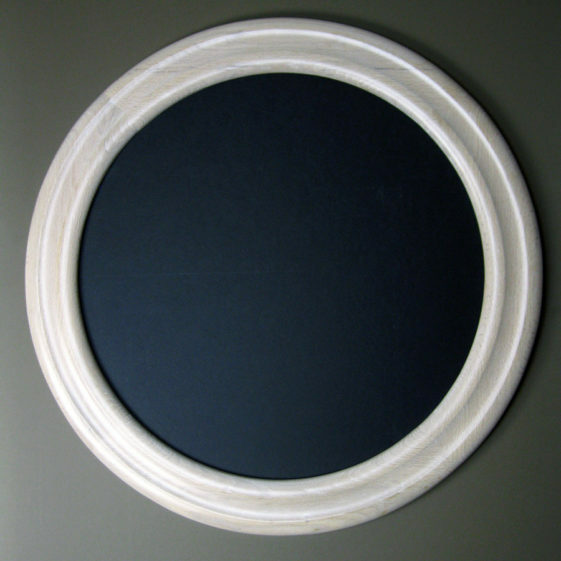 Our round oak frame features the crone’s favorite profile and is stained white. Very rare color combination for a picture frame. 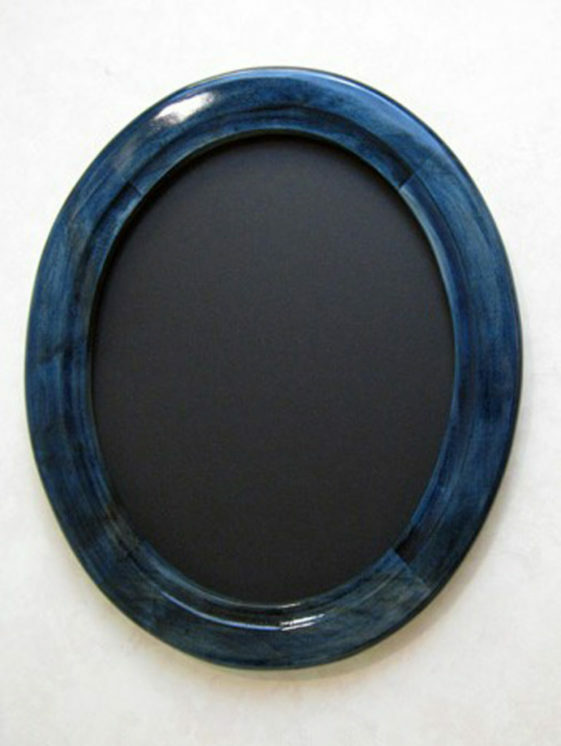 Oval Picture Frame stained Blue. Shown with a High Gloss Finish. 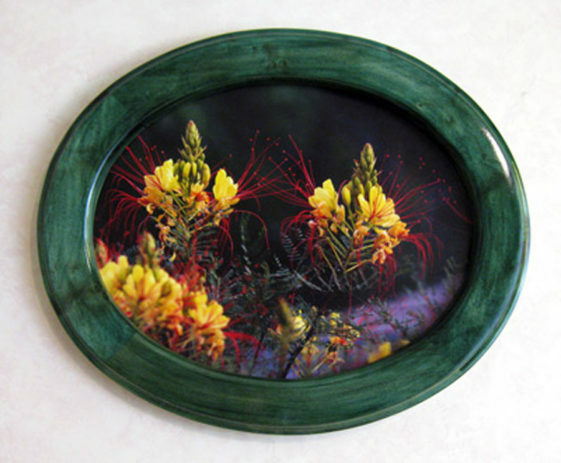 Oval Picture Frame stained a Vibrant Green. Shown with a High Gloss finish and Small Outside Cove profile.